Be-Well is a whole-body strategy designed to promote optimum wellness. Combining the best methods of cellular and muscle stimulation, detoxification, and fluid mobilization, our customized wellness treatments invigorate clients and invoke an overall sense of vitality. At any age, our physical wellness is best achieved through an active lifestyle, eating healthy and nutritious food, getting enough sleep and eliminating stress. These programs support your wellness with treatments that boost circulation, build muscle strength, relieve body pain, help reduce swelling and improve cardiovascular health. Infrared light therapy penetrates the skin tissue, warming the body deep within, relaxing and de-stressing your body while working to increase circulation, encourage excess fluid mobilization, relieve pain, and purify skin. Combined with muscle stimulation, Foggiare’s exclusive Electrosculpt technology also stimulates muscles to increase their strength which supports the body to sustain energy, burn more calories and operate at its most efficient. FDA CLEARED. Heat therapy loosens muscles, relaxes the body and speeds the process of eliminating metabolic waste through sweating. Our infrared steam submersion treatment delivers this heat through red light and steam helping to increase blood flow and circulation, improve cardiovascular health and relieve muscle pain. Steam has also been shown to reduce blood pressure and cortisol, clear congestion, improve the immune system and burn calories. Our wellness depends on the lymphatic system. As we age, metabolic wastes accumulates in our tissues resulting in swelling, inflammation, fatigue, weight gain, constipation, congestion and skin issues.  Foggiare’s whole-body drainage treatments compress the skin and tissues to encourage fluid mobilization, quickly relieving swelling and improving circulation. By supporting the lymphatic system to function at its best, you’ll quickly improve your overall wellness.